Pencils Down, Pass the Remote: The Rising Profile of Leslie Odom Jr. 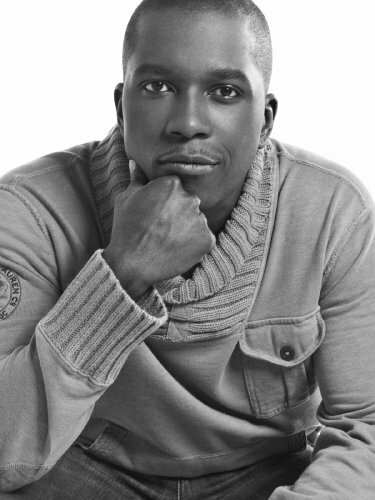 The Rising Profile of Leslie Odom Jr. The Smash star and self-proclaimed blue-collar actor tells guest blogger Eva Mckend about enjoying his time in the spotlight and exceeding his own expectations. Seventeen years ago, the musical RENT found its way into Leslie Odom Jr.’s living room. The actor can’t recall if he saw it on 20/20 or another news program, but what he does remember is walking into the now defunct HMV store in his hometown of Philadelphia. Odom had to track down the music. Soon after, the 13-year-old came up with a plan. He would work on his acting, singing and dancing until he was 30, get a role in the musical and perform in the show for at least ten years. But the young Odom’s dreams came faster than he ever envisioned when he nabbed a spot in the production’s chorus four years later. “RENT really gave me the confidence to pursue this [acting] with my whole heart. It changed my life when it came into my living room and when I stepped on the Broadway stage,” he explained in an exclusive sit-down interview with Pencils Down, Pass the Remote in New York’s Bryant Park. It was this early confirmation he would get once again at twenty-two after graduating from Carnegie Mellon’s School of Drama. Odom landed a role on CSI: Miami within 48 hours of moving to California. His friend had to drive him to the shoot—Odom didn’t have a car. “I went to LA with fifteen hundred dollars and a dream. The question was, am I going to get out there and not have a ticket home. I prayed about it,” said Odom. Though Odom has had several ups and downs in his career, he decided early on he would never complain about any acting opportunity. He describes going to set and living his dreams as a rare gift he doesn’t take for granted. “I treat the script like a bible. Technique will help you craft a performance but the best work comes from studying the text and all that script analysis,” Odom said. Since Odom was a child, his thoughtfulness has always led others to classify him as a very serious person. It used to bother him but now he says he wears it like a badge. “My main focus when coming to work is not because it is so much fun. The theater is the first place I really encountered the divine. There is something that happens to me there. If I’m not having a worship experience and I’m not losing myself in the work, I’m not going to be a happy guy. It’s serious for me,” Odom explained. Last year, right before his 30th birthday, Odom was at a particularly lonely point in his journey. He reached out to actors Wren Brown and Stuart K. Robinson for support. “These are black men who have made it in this business. You don’t know who they are. They are not Denzel Washington names but they have homes,” he said. Today, Odom refers to himself as a “blue-collar actor” as he continues to put his life and career into perspective. For him, it has never been about the celebrity. That is simply not the goal he is after. “There’s very few of us that can have the Don Cheadle, Will Smith kind of success. The rest of us are blue-collar actors. I want to do really good work and become valuable in the business by being respected for my craft,” he said. Odom’s sense of humility is refreshing. Unlike many up and coming actors, he doesn’t aspire to take over Hollywood or create his own media empire—he just wants to be remembered for what he delivers on screen and on stage. This year, he landed roles in the George Lucas film Red Tails, Supernatural, House of Lies, Smash and the Broadway show Leap of Faith. On the NBC musical drama Smash, Odom plays Sam Strickland, a charming gay ensemble member, loyal friend and love interest to a prominent white composer. Whatever you do, Odom says, don’t dismiss the character as a token or get caught up with his sexuality. “I’ve purposely not really made mention or given Sam’s sexuality a whole lot of shine because I think we should take it for granted. It’s not really my job to set him up as any kind of representative of a whole group of people,” he explained. Nonetheless, the character itself is quite remarkable. Sam Strickland is a gay black man in the theater but does not fulfill the flamboyant queer stereotype. He is also deeply Christian and relentlessly hopeful, just like Odom. Eva McKend is a multimedia journalist from New York City and a recent graduate of the masters program in Broadcast and Digital journalism at Syracuse University. Follow her on twitter @evamckend.